Based on the Japanese comic strip "Riki Oh", the movie is set in a futuristic prison where Ricky is locked up and then sytematically tortured by the sadistic warden and his cohorts. Through his radical actions and selfless attitude, Ricky quickly becomes a hero for the rest of the inmates and initiates a daring plan to break free from the brutal regime in which he is incarcerated. 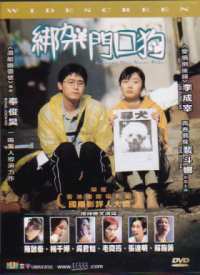 Story of Ricky is a Hong Kong film based on a Japanese manga titled "Riki-Oh". 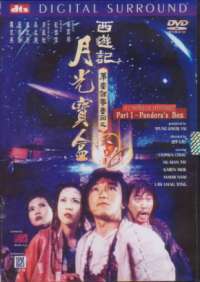 While the manga tells the story of the principle character, Ricky, before he goes to prison, while he is in prison, and after he escapes from prison, the film is just based on the prison episode. The manga was also known for being exceptionally graphically violent, and that is one area in particular that the film has remained very faithfull to the original! "Thank god I put deodorant on this morning!" I should probably state this straight away, plot and character development, and other elements which you would normally consider as vital components of a film, are all very thin in Story of Ricky. In fact, some of them may even be non-existent... Why? Because Story of Ricky is all about the gore and suffering. Despite this, I will still take a few lines to cover the basics of the plot. Ricky has been sent to prison (which has been privatised), why? That is something you find out in flashbacks throughout the film. 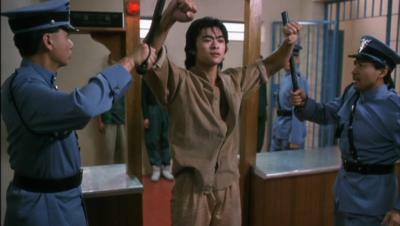 In prison he quickly discovers that there are people who consider themselves tough and the boss over other inmates. Ricky doesn't like this, or those people, so has no problems fighting back, and killing, quite horribly in some cases, whoever he is up against. He soon discovers that the prison has been growing poppies for opium, again something else which he does not like, so he takes it upon himself to destroy their poppy crop, putting him very much in ill favour with the prison warden, assitant warden and their croonies among the inmates. Quite simply, they want Ricky dead, but first want to learn his story, and where he disappeared to for two years. "Now that is one major headache!" That's pretty much it. There are some major holes in the story, like the issue of where Ricky disappeared to for two years. It is brought up on several occassions in the film, but each time Ricky does not answer, and the film ends without an answer ever being given or hinted at! So what comments can I make on the film? Something which I view as a continuity error, but is probably deliberate to emphasise the super human power and status of Ricky, is his unfathomably rapid healing time. He has his face beaten up badly, razor blades in his mouth which lacerate his cheeks and his right arm sliced open, among other things. But in practically all occassions, by the next scene or two, he has completely healed. Not a scar, scab or mark in sight. "Acupuncture, taken a little too far!" Anyway, the plot, as you can tell, is not complex or really that gripping. Things just happen, and it does appear at times that some scenes are there purely to set up another scene containing great amounts of gore. "The new weight loss program had its drawbacks!" Ricky punches into a guy, and then blood, guts, organs pour out. A wood plane is scraped over a guy's face. 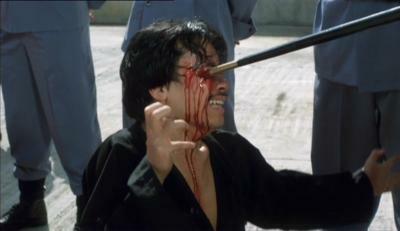 A wooden board with nails sticking out is impaled on a guy's face. Someone's head is literally crushed between someone's hands. Someone else's head is chopped in half by one chop from Ricky. Bits of brain everywhere! Razor blades are shoved in Ricky's mouth, and he is then beaten. A serrated blade is chopped into the side of a guy's head. More than one person has parts of them minced in an industrial mincer. Ricky's arm is hacked open. Someone cuts their torso open, so that they can strangle Ricky with their own intestines!! Ricky's punch obliterates someone's hand. I think you get the general idea. There is blood, guts and gore everywhere in the film. "School boys have to learn to fight nowadays!" Alas, that is really all there is to the film. The acting is really pretty poor looking. Granted I can't comment on the delivery due to the language barrier, but some of the performances seemed so ridiculously over the top that there is no way in which they could possibly be good! This isn't helped by some of the characters in the film. They are in some ways incredibly stereotyped. The head warden is the most ruthlessly evil guy around. He's got the spoiled, and nasty, fat son - who for some reason wears a horrible school uniform for most of his screen time. They are so one-dimensional, there is no room for character development for anyone in the film. Everyone starts out one way, and stays that way throughout. "I know I talk too much, but this is a bit excessive!" What could have saved the film was the fight scenes. 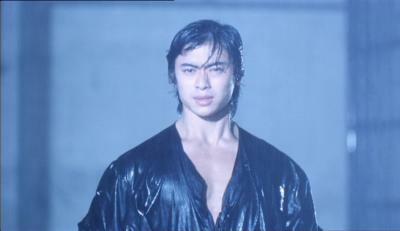 The film stars Fan Siu Wong, who is a trained martial artist, and Yukari Oshima, who also is a trained martial artist. Fights between them should be good, I thought. Wrong. So much of the film's budget was spent on blood and gore, they probably were left with nothing for the choreography. The fights don't look good at all. In all honesty, in watching a couple of the Fan Siu Wong Vs. Yukari Oshima fights, you wouldn't have thought that they were even properly trained martial artists. The choreography is so plain, simple and slow that it makes them look really bad. "The new extreme sport craze - Extreme fish-hooking!" I really don't know what else to say about Story of Ricky. It has got a cult reputation, purely based on its gore (I think), and there are some people out there who will love the film for this. I did find myself laughing reasonably frequently, because of how ridiculous or bad the film was, but still not enough to like the film. If all you are after is gore, then yes, you probably will like Story of Ricky. But if you are someone like me, who doesn't mind gore, but would like at least something else to go with it, then I don't recommend Story of Ricky to you. For gore films, get the likes of Braindead (aka Dead Alive) instead, as it is the best comedy gore film around. 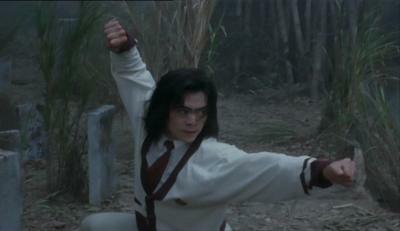 "Those clothes are like, so 80s..."
The film is available in both Cantonese and English DD5.1. I watched it in Cantonese. Now I got to think that claiming that it is 5.1 is possibly a bit of false advertising. While watching the film I don't recall hearing the surround speakers used much, if at all. As far as I could tell all sounds came from front centre, and the subwoofer was only used every now and then. However, the sound effects and speech did all sound perfectly clear, and well balanced as far as volume levels go. There was nothing special about it, but nothing too bad either. The subtitles, in my opinion, were very good. There were no spelling or grammar errors, which is not a surprise. They were bold white in font, with a black border round the letters, and were legible at all times. "Cross my heart, hope to die, stick a needle..."
The film print looked superb. I don't recall seeing any blemishes, grain or anything wrong with the print at all. Detail levels looked good, the picture also appeared to be crisp and sharp. Colours also were well reproduced, as the print didn't look too bright or too pale. All in all, the film looked great! Story of Ricky didn't have as many extras as quite a few other HKL dvds which are out there. Fortunately it is a matter of quality over quantity in this case. There is a full length audio commentary from Hong Kong stuntman Jude Poyer and critic Miles Wood, which I'll admit that I haven't listened to, as I don't really care for audio commentaries! There is a trailer archive for other Hong Kong Legends releases, and then there are two other extras featuring Fan Siu Wong, these are both easily the best things on the dvd. 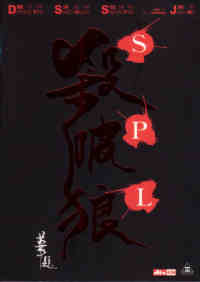 First there is a martial arts showcase, which is a video of Fan Siu Wong doing a martial arts demonstration, filmed specifically for this dvd. Seeing the man in action shows what he really is capable of, and what could have been in the film. Unfortunately some of the camera work in this showcase leaves a little to be desired, being far too close to Fan Siu Wong, making it less clear the moves he is doing. The second extra is an interview with him. This is about 30 minutes in duration, and is very interesting. He talks about his childhood, his training, his father (Fan Mei Sheng - co-star in this film! ), and his future career plans. Throughout he comes across as an exceptionally pleasant guy! 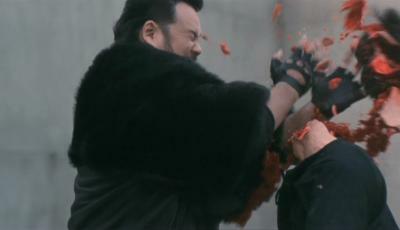 That's it as far as extras, but the two with Fan Siu Wong are really good, so you can't complain too much! 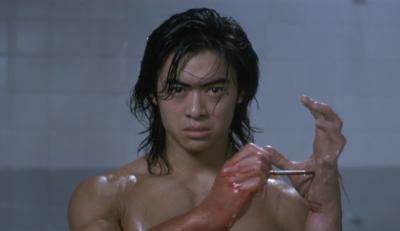 Story of Ricky is a film which has had so much attention lavished on it purely because of its very high gore factor. Unfortunately this is really all the film has got going for it. There is nothing else of much substance in the film to recommend it for any reason. The fighting really could have been so much better, considering who is in the cast, but no, it failed to live up to potential. So really, I have no reason to recommend this film to anyone except gore hounds.